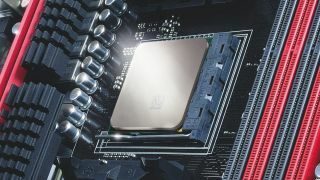 If you’ve been on the market for one of the best processors, you’ll be pleased to know that the processor world is more vibrant than ever with competition between Intel and AMD. This is thanks to AMD dominating the market with its Ryzen 2nd Generation processors, something we hope continues with Ryzen 3rd Generation. Intel has responded with its 9th-generation Coffee Lake Refresh processors, led by the Intel Core i9-9900K. There’s never been a better time to grab one of the best processors. There are so many different processors out there right now. From HEDT champions like Intel’s Basin Falls Refresh lineup, to budget heavyweights like the AMD Ryzen 3 2200G – there’s something for everyone. And, word on the street is that AMD will be showing off its Ryzen 3000 CPUs at Computex 2019. Of course, there are still dozens of chips in the middle, like our current favorite, the AMD Ryzen 7 2700X. Thanks to increased pressure from AMD, Intel’s offerings have been heating up like crazy (sometimes literally.) This increased competition has resulted in the Intel Core i9-9900K: an absolute beast of a processor that packs eight cores and 16 threads, more cores than any mainstream processor released by Intel. And, the performance shows that it’s worth it – it can go head to head with some of AMD’s Ryzen Threadripper chips. If you’re looking for raw performance, the Intel Core i9-9900K is easily one of the best processors you can go for.